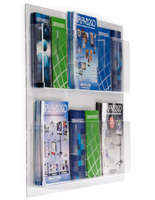 This commercial 5-pocket flyer rack fits standard magazine sized documents, with adjustable dividers to fit trifolds, too! 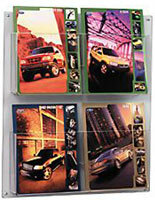 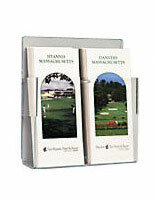 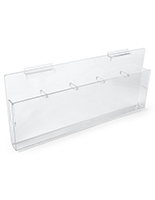 Each of these brochure holders has clear acrylic panels through which customers can easily spot what they’d like to read! 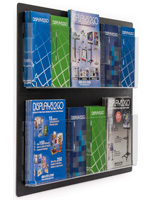 This 5-pocket flyer rack featuring peg dividers is wall-mounted, leaving floor and counters free! 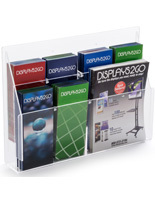 This newsletter organizer gives store owners options in terms of what size documents to showcase. 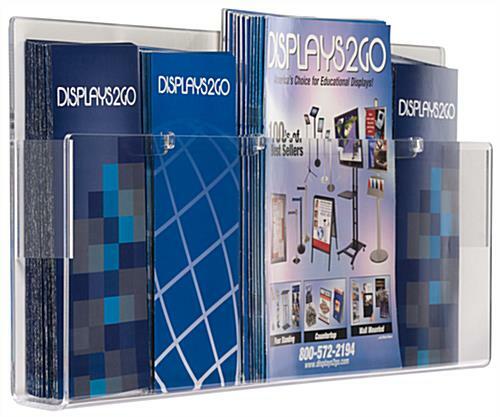 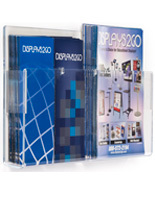 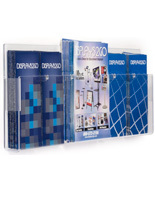 This commercial 5-pocket flyer rack, also known as a literature display, suits real estate offices, retail showrooms, and all manner of professional offices with varied pocket configurations. 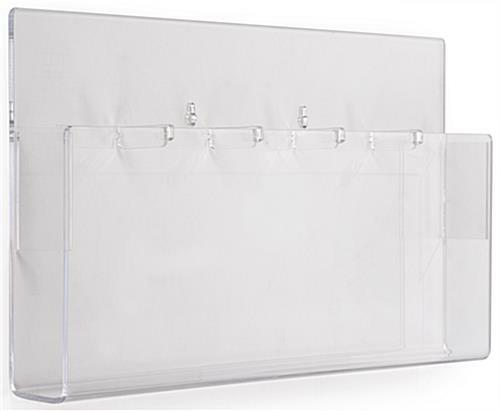 23.0" x 14.5" x 20.0"